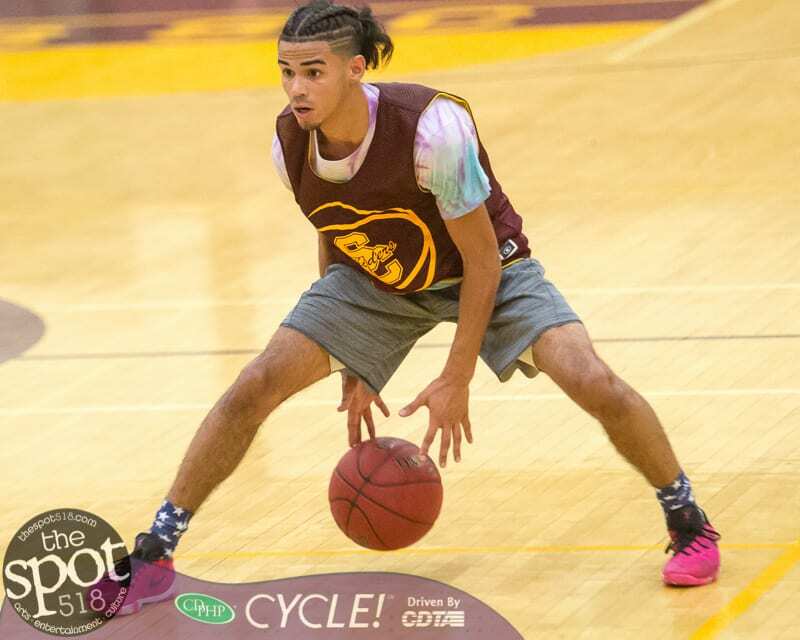 COLONIE – The boys varsity team won the Summer Basketball League championship by beating Saratoga 43-38 on Friday, Aug. 3. Colonie, the tournament host, went undefeated in the playoffs by beating Albany in the first round, 68-37, and then Green Tech, 65-59, before playing Saratoga in the finals. Guilderland made it to the semi-finals by beating Lansingburgh, 55-50, in the first round before falling to Saratoga 47-27. The Colonie JV squad made it to the finals before getting beat by Albany 46-30. Click on a photo below to view a slide show of the Colonie versus Albany varsity game, the Guilderland versus Saratoga game and a few from Colonie versus Green Tech.